It seems awfully quiet and still at first. Then a dog barks down in a farm below and I begin to hear the wind through the pines that sounds like a truck coming around the bend. There is warm sun in the valley and clouds the same dark, blue-grey color as the mountains are moving away over the peaks, giving way to a clear, bright sky. There, above the tree line, there are traces of snow yet harbored by the shadows of the coulees. 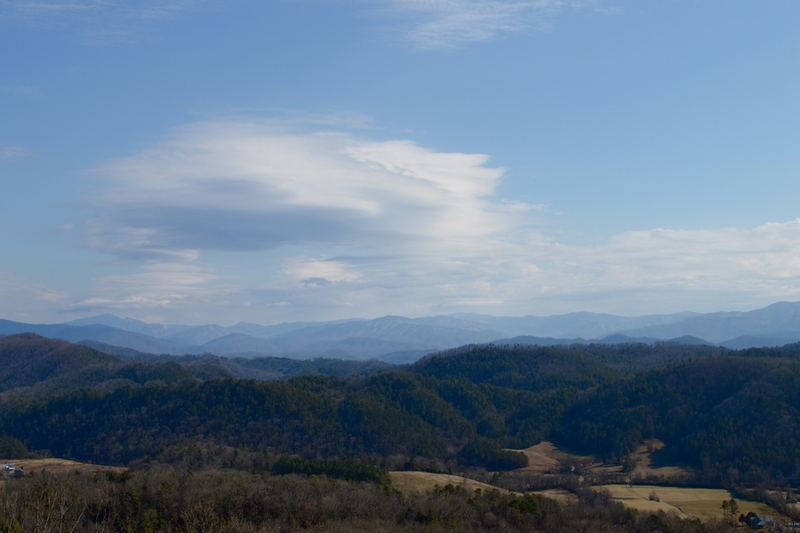 I can see Mount Le Conte some twenty-four miles distant. This is the austerity of Appalachian winter – the mountainsides bare save for the green of the pines and a crisp chill to the wind. 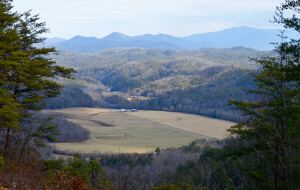 Here, high up on the Foothills Parkway in Blount County, Tennessee, I can see it all. I have been all up and down the spine of the Appalachian Mountains in Tennessee, from the Tri-Cities up in the northeast corner of the state down to Chattanooga down on the Georgia line. Yet of all mountain peaks and valley bottoms, the streams and the small towns, it is here, the Great Smoky Mountains, that I am drawn to like a moth to a light in the night. And I am not alone. The Great Smoky Mountain National Park is the most visited of the nation’s National Parks, and as spring and summer set in, the woods and valleys will thicken with foliage and tourists. So I often make it a point to visit during the winter months, a time when it seems awfully quiet and still at first. But the mountains speak, and if you come prepared to listen, you will hear them.